At Riviera Nayarit, luxury is part of our flavor, therefore a wide number of media representatives showed interest on the offering in The Mexican Pacific Treasure during past International Gourmet Festival (IGF) Puerto Vallarta-Riviera Nayarit and gave coverage not only to the gourmet experience but also to the touristic attractions. At least nine representatives from national and international press covered Riviera Nayarit during this Festival and are already publishing in several media articles related to their trips during this coverage. Matt Robard from Food Republic, an Internet site receiving 10,417 unique visitors a month, highlighted not only astonishing flavors found in Riviera Nayarit, but also the security that he could experience first hand. “When the topic of my upcoming trip to a food festival in Mexico came up in conversation over the past month, a lot of people—respectable, intelligent, New York tough people—tended to jump to wild conclusions about not only safety within the, but the country’s culinary sophistication—or lack of it (…)But after spending a couple days at Riviera Nayarit, I’m happy to report two things: I did not feel unsafe and the traditional Mexican dishes I encountered were unbelievably good”, he wrote. He also spent a few words on the hipster ambience found in Sayulita, where he visited the Farmer’s Market and tasted local products. The cosmopolitan ambience in San Pancho, where he attended a Polo match. As well as the luxury and gourmet sophistication found in Punta Mita and Nuevo Vallarta. Jessica Gottlieb from Babble.com, an electronic magazine receiving 4,380,950 unique visitors per month, asked her readers to forget all their previous experience on All Inclusive hotels and encouraged them to visit the Five Diamond awarded Grand Velas Riviera Nayarit. Later she promised a series of articles on her visit to the destination. 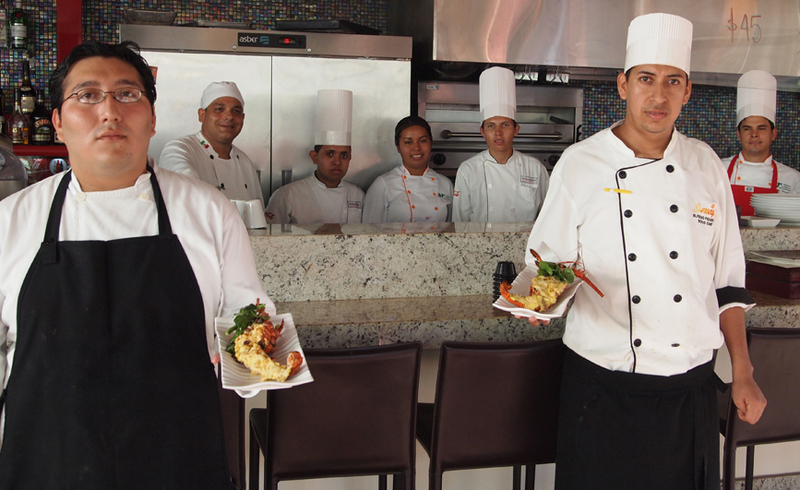 One of the main strategies promoted by the Convention and Visitors Bureau of Riviera Nayarit is to attract tourists through gastronomy. The flavors and aromas that characterize our region can increase the number of visitors and link the touristic activity with farmers, creating cooperation chains between different productive sectors, generating wellness for everyone.